Coaching helps you become the person you want to be and create the success and fulfillment you want to achieve at a faster pace and on a greater scale than any other form of professional development - because you identify and own your goals and your desired results. However, many women cannot afford individual coaching. Is this you? This program is designed for the woman who has risen to the director level and above who may not be able to afford coaching at the typical executive coaching rates. This can be because your company does not provide or will not pay for coaching at all, your income is not low enough to qualify for low income programs, and you have other personal or family obligations that impact your finances. These might include single motherhood, having to provide for care for an ill or infirm family member, or having a spouse who has lost their income. It may also be that you work in a non-profit or in a low-paying industry. The cost is higher than one can find in programs that are designed for low income individuals, but significantly lower than typical executive coaching fees. The program is designed for those women who would otherwise fall through the "access to coaching" cracks. In the application process, I will ask you to describe your circumstances that you feel make you eligible for this program. 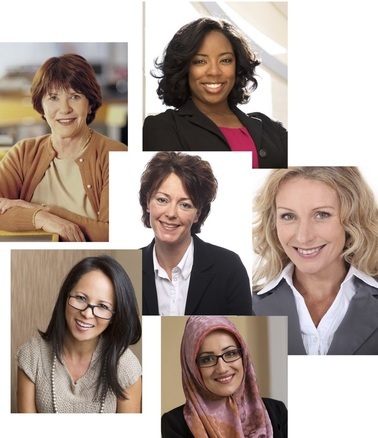 ACCESS provides individual coaching to professional women ages 40 and older who are at the director level and above who cannot quite afford the out-of-pocket expense of individual personal or executive coaching. The structure of the program is the 2-hour Foundation meeting and two 1-hour coaching meetings per month for three months (8 hours in total) at a fee of $1800.00. I have a limited number of spots available each month - apply now to get into the program! The coaching is the same as what I offer in my other individual executive and personal coaching packages - so please explore the descriptions of those services and see if this is something that you would like to experience to move forward in your life and your career! Want more information about ACCESS? Contact me! Ready to participate in ACCESS right now? Please fill out the short application here. I will contact you after I receive your application. Please note that I have a limited number of ACCESS openings at any one time. You may choose to repeat your participation in the ACCESS program one time for an additional 3 months at the same rate.